For people who are proud and European. 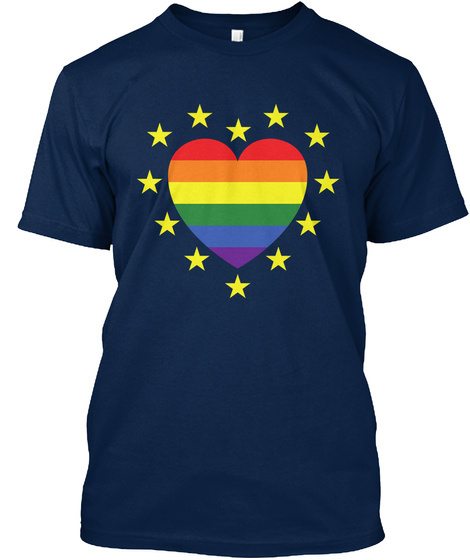 Features the EU stars and the rainbow flag in the shape of a heart. A portion of proceeds will go to Mermaids UK to help support young people and their families with gender identity issues.